People trust familiar brands, but if that brand suddenly finds itself on the news for the wrong reasons, that trust can vanish overnight. Food safety is one of those areas where you don’t get a second chance. Remember, the consumer puts their complete faith in you and your brand – if it’s on the shelf, then it’s safe to eat. Anything less and people will remember, even if it’s just a scare. You will have lost their trust forever, and they’ll move to another brand. And of course, the financial affect could end up destroying your business. Any plant or factory that deals with food is held to rigorous standards of Health and Safety, and rightfully so. Raw materials, equipment, staff and contractors all need to adhere to the highest standards to ensure possible contamination is kept to a minimum. There is a difference between disinfecting and complete sanitisation. When it comes to something as serious as food contamination, nothing less than professional cleaning is required. Regular cleaners, spraying a surface and giving it a wipe, doesn’t come close to meeting the required standards set by the Government, when it comes to preventing food poisoning. Bacteria grows exponentially; 1 become 2, 2 become 4, 4 become 8… and on it goes. 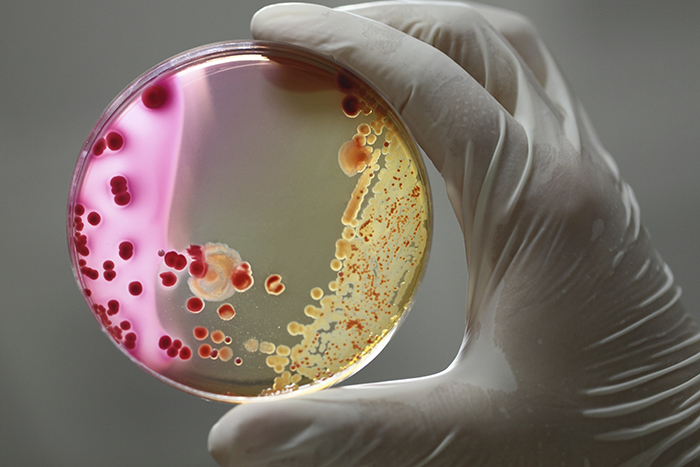 There are different types of bacteria, causing different illnesses, and each type is treated differently. When a food poisoning outbreak is investigated, 9 times out of 10 the cause can be traced back to the factory. Food contamination is one of those things you can’t take even the slightest risk with. Food poisoning isn’t something to mess around with, and in some cases, it can be fatal. If a food poisoning outbreak happens, there will be an investigation, and if the source of the contamination is traced back to you, then your business is going to suffer. All production will be stopped immediately, but the real damage is the loss of trust in your brand. Even if you sanitise every inch of your factory (which you will have to), and pass every health and safety audit there is, the consumer will always associate your name with risk. No one wants to feed their kids food which may make them sick, even if you’ve been given the all-clear. We can ensure your business meets all Health and Safety requirements set when it comes to food sanitisation. Our well-equipped and highly-trained team provide both rapid response and scheduled maintenance cleaning services to keep your hygiene standards up to date. We offer a total clean of all plant and equipment as well as walls, floors, ceilings, processing plant, drains, vents and other surfaces. Much of our plant and machinery has been custom designed and purpose built, and many of our machinery items are not available elsewhere. Peace of mind is invaluable when it comes to food safety and hygiene standards and we can give you this with our up-to-date sanitation practices. The starting point for our staff training begins with an appreciation of how we pride ourselves in having the highest standards of Health and Safety. All our team are fully qualified with many years of experience. Call us today if you have any questions about how we can help you when it comes to food safety, or meeting strict audits. Noel had identified an opportunity to offer speciality cleaning, painting and maintenance services to major corporate clients in the Auckland area. Starting with three employees, the business has now grown to a staff of twenty-five, which includes highly qualified, technical personal who are helping the business diversify into new business areas. Providing services to the industrial sector for over a decade, we are recognised as experts and innovators in all aspects of industrial cleaning and maintenance, with a special emphasis on food processing and manufacturing.